Hridaya student Sebastian, 34, was diagnosed with Type 1 diabetes when he was 13 years old. Prior to arriving at our school in Mexico, he was taking 28 units of Lantus insulin per day. His doctor told him that this was a high dosage for someone of his height and weight, and urged him to make lifestyle changes that would help him lower his intake to 26 units. But Sebastian, a fan of late night pizza and accustomed to eating an unhealthy diet rich in sugar, could not motivate himself to change his habits. What did inspire Sebastian was the 7-day Hridaya Silent Meditation Retreat with Sahajananda that he attended in Germany in 2013. 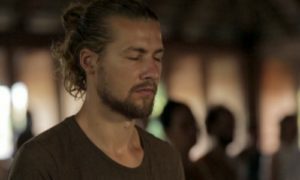 He was so moved by his experience in the retreat that he decided to take a year off to deepen his meditation and yoga practice, and he joined us in Mazunte for the April retreat. After just ten days of meditation, yoga, and healthy eating, Sebastian’s intake of Lantus insulin dropped over 40%, to 16 units per day. He continued on as a student in the Hridaya Intensive Yoga Retreat: Module 1 and by the time he got his graduation certificate a month later, his daily dosage had dropped to 12 units. After attending the May retreat, his daily Lantus intake was down to 10 units and his dose of Humalog, a fast-acting insulin, had dropped 50%. Now, over a month later, both dosages have remained stable at these levels. 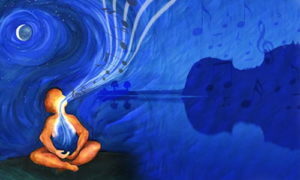 Sebastian came to Hridaya with the intention of strengthening his meditation practice, not lowering his insulin intake. But, the hours spent in practice and the healthy food and lifestyle choices that naturally flowed from them, have enabled him to almost effortlessly surpass his doctor’s original, and charmingly moderate, target dosage. While a 7% drop once felt impossible, now a 64% reduction is a daily reality. Fully committed to continuing on this path, Sebastian will join the Hridaya Teacher Training Course in September and is sure to be a beacon of inspiration to others, a shining example of the power of dedicated practice. Sebastian is just out of the June retreat and his daily dosage is down to 7 units–a 75% drop since March! Sebastian has kept going! He is now stable at a dosage of 6 units per day–almost an 80% reduction! Teaching Hridaya A visit to see the turtles!